Articles When Is It An Emergency for Your Cat? When Is It An Emergency for Your Cat? As we all know, humans as well as animals can survive quite a while without food, but they always need water. When a cat gets sick, because they are such secretive animals, the cat does not often times show just how ill it is until much too late and many of us are unaware that there is something amiss with our pet. Hence, when we discover how sick our pet is, we all struggle with "do we need to take the cat to the emergency veterinarian or not"? There are a couple of sure fire ways to check to see if your sick cat is dehydrated and necessitates a trip to the emergency vet or can wait until regular business hours at your own veterinarian. As shown in the video below, pinch the skin between the front shoulder blades (near the scruff of the neck) and gently lift it up as far as it will go. Let the skin go and if the skin quickly springs back down on the spine, the cat is hydrated. If the skin stays pinched together and/or falls back to the spine slowly, the cat is dehydrated. The more severe the dehydration, the slower the skin will take to retract. If you do not have the supplies to hydrate the cat by giving it Sub-Q fluids, then a dehydrated cat needs to be seen by a veterinarian as soon as possible. If this means a trip to the emergency veterinarian hospital, so be it. NEVER, put off having a dehydrated cat seen by a veterinarian or the cat could die. In the case of a dehydrated kitten, it is imperative that it be seen by a veterinarian as quickly as possible as kittens do not have the body fat (energy stores) that adult cats have and a kitten could fade away very quickly and die. 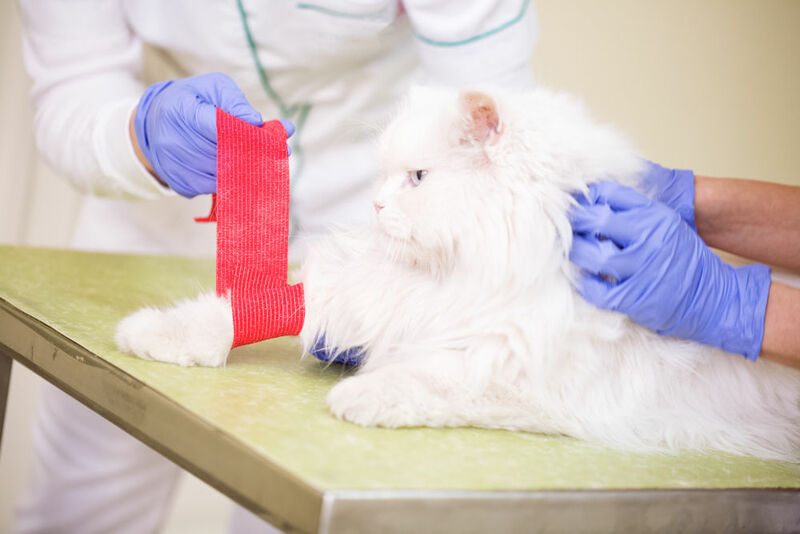 This test can assist in testing the cat's blood circulation and can indicate dehydration, heart failure or shock. Lift the cat's upper lip and press the flat of your finger against the gum tissue. Remove your finger and you should see a white mark on the gum where your finger was. Using a watch with a second hand, time how long it takes for the pink color to return to the white spot. In a healthy cat, it should take about 1 -2 seconds to return to pink. If this test indicates that the pink color is slow to return, the cat needs immediate veterinarian care!